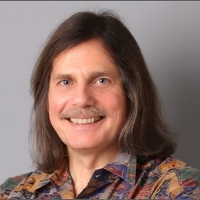 UCGIS is pleased to announce that Jochen Albrecht, GISP, Professor of Computational and Theoretical Geography at Hunter College, City University of New York, will receive its 2018 Education Award. Dr. Albrecht has been a faculty member at Hunter College since 2004, where he has contributed significantly to curriculum development in geographic information science. Albrecht emphasizes professional aspects of GIScience in his academic work and has facilitated articulation agreements between his institution and regional community colleges. A significant emphasis of his instructional practice is to introduce Hunter students to GIS employers through site visits, thus allowing students to see GIS at work in an organizational context. Dr. Albrecht’s students demonstrate great devotion to him. Several graduate students have followed him to different universities, including one (Dr. Femke Reitsma) who moved with him twice. Over his career, he has supervised 28 masters and six Ph.D. theses, several with whom he has co-authored journal articles. Albrecht’s textbook, Key Concepts and Techniques in GIS, was long used as a primer by educators worldwide who appreciated its focus on principles and its applications across platforms and vendors. His new book with Prof. Ramasubramanian, Essential Methods for Planning Practitioners, is an example of his endeavors to reach students and practitioners in diverse disciplines. Professor Albrecht has been on the advisory board of National Geospatial Technology Center of Excellence (GeoTech Center) and formerly served the Urban and Regional Information Systems Association (URISA) as a Board Member and the editor-in-chief of the URISA Journal. He is an Editor for the Geographic Information Science & Technology Body of Knowledge. UCGIS will honor Jochen Albrecht and other award recipients during its annual Symposium in May 2018 in Madison, Wisconsin.